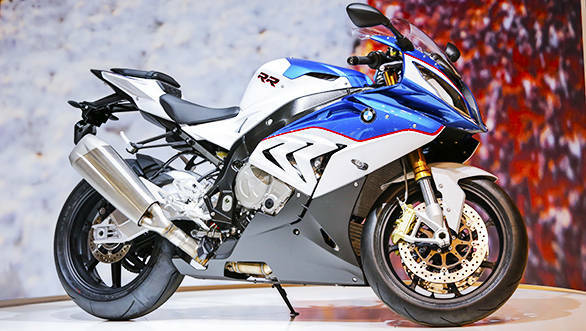 BMW's roadster, the R 1200 R has just been unveiled at the Intermot 2014. Powered by a 1,170cc flat-twin liquid cooled engine which makes 127PS and 125Nm of torque, the bike, according to BMW Motorrad, has now got a more linear power delivery than before. It also gets a new air intake duct along with two riding modes (Rain and Road), ASC and ABS as standard. Pro riding mode and Dynamic Traction Control can be ordered as extras, though. With the Pro riding mode, you automatically get the Dynamic and User settings as well. 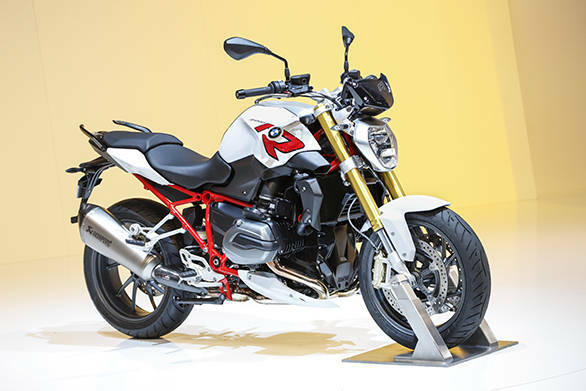 For the R 1200 R and RS, BMW has developed a new tubular steel bridge frame which incorporates the engine as a supporting member. The suspension comprises of USD telescopic forks in the front and an EVO paralever at the rear. BMW says that steering precision and braking rigidity were considered top priorities when designing this frame. In terms of design, the roadster has an edgy theme to it as well. The instrument cluster has an analogue speedometer, onboard computer and a digital rev counter. The seating position for the motorcycle is upright and there are disc brakes on both the ends. 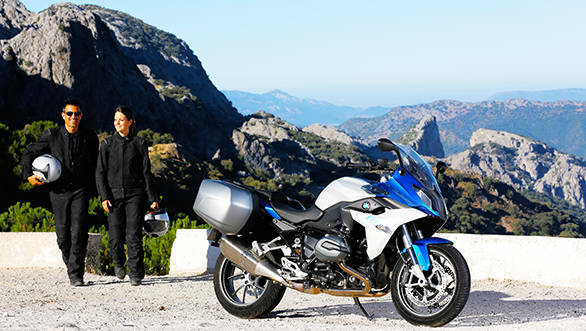 The BMW R 1200 RS is a faired sports tourer which gets the same boxer engine and is paired to a six-speed gearbox. The R 1200 RS' engine is tuned for more low down poke than the R 1200 R. Other features that set it apart from the R 1200 R are the fairing and adjustable windshield. The highlight of the new S 1000 RR is the 6PS increase in power output, bringing it up to an overall 199PS from its 999cc in-line four cylinder engine. Weight has also been reduced by a significant four kilograms and the motorcycle comes with Race ABS. The exhaust system too is an all new unit and weighs around 3kg lesser than before. Similar to the other motorcycles on this page, BMW has also made the torque curve more linear.